Nikki confesses to Jack that Victor lied to her about Chelsea and Anita. Nikki lets it slip that Victor is in Paris to meet with Genevieve. In Paris, Genevieve meets with Victor, who offers to buy Beauty of Nature and make her part of his executive team. After dinner, Genevieve advises him to keep trying to win her over. Paul informs Billy that Chelsea and Anita both have criminal records. Anita confesses that Victor brought her and Chelsea to Genoa City. Billy orders Anita to move out. However, Anita warns him that if she moves out, Chelsea will leave as well. Meanwhile, Victoria questions Chelsea about her involvement with Billy. Later, Nikki encourages Victoria to move out of her home for a while in order to get away from Chelsea and Anita. Victoria is upset when Billy agrees with her mother. Avery informs Phyllis that she just returned from visiting their father, George. Avery encourages Phyllis to visit him before it’s too late. Avery informs Daisy she thinks she can get her released soon and also get her custody of Lucy. At physical therapy, Jack is disappointed when his therapist, Megan, who wants to concentrate on his arm strength instead of trying to walk. He overhears a tough-talking therapist named Sarge. Jack asks Sarge to take over his physical therapy. ­At Jimmy’s, Daniel arrives with Chloe and suggests to Ricky and Eden that they all hang out together. Ricky flirts with Eden, but she is upset that Daniel doesn’t notice. Later, Chloe informs Daniel that Eden likes him. Phyllis calls the hospice facility to get information about her father’s condition. Phyllis recounts the story of how her father stole money from his clients’ investment funds and that she turned him in. Nick advises her to visit her father or things with never be finished for her. Phyllis makes a call to her father’s hospice facility and reveals she’ll be there soon. Avery informs Daisy that she’s arranged for a hearing to get her sentence reduced. Daisy and Avery find the video made by her brother, Ryder, which shows Sarah Smythe threatening to harm Daisy if she doesn’t follow her orders. Later, Michael meets with Lauren and informs her that Avery has arranged a hearing for Daisy. Adam is unable to find his glove while working on a fence. Sharon approaches and hands him the glove. Adam informs her that he needs to learn to do things for himself. Later, Adam and Sharon make love. ­At Jimmy’s, Daniel is skeptical as Chloe tries to convince him that Eden has a crush on him. Kevin and Angelina arrive and Chloe decides that she and Daniel should leave. Angelina happily informs Devon that they should continue working together. Later, Eden reveals to Ricky that she needs a new roommate. Ricky offers to move in, and Eden reluctantly agrees. Lily and Cane return home from their trip to France. Lily and Cane are trying to get romantic when Devon arrives with burgers and fries. As they eat their meal, Devon informs them about his upcoming surgery and his reconciliation with Angelina. Tucker informs Ashley that he plans to travel to Dallas for Devon’s surgery despite the fact that Devon has not invited him. Later, Tucker meets Devon and explains his plans to travel with Devon to Dallas. Devon says that Tucker can come if he wants. Jeffrey informs Gloria that he needs a job, as he is broke. She gives Jeff a job as a busboy. Later, Gloria takes Angelina and Kevin on a tour of their new house, which is decorated in an out-of-date style. Jill meets with Ashley and informs her that she needs to replace Genevieve as Head of Marketing at Jabot. Jill states that she thinks they should hire Cane for the job. Later, Ashley offers Cane the position at Jabot and he accepts. 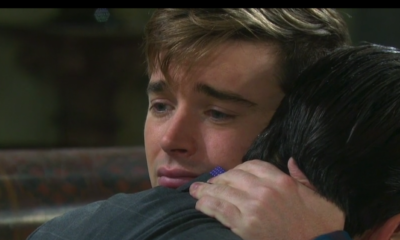 ­Adam asks Sharon to take Hope’s ring for safe-keeping. Sharon agrees, but says she cannot wear the ring. Later, they hear an announcement on the radio about a severe weather storm warning. Sharon leaves to go to the store to get some food for them. Alone, Adam is startled by thunder that shakes the house. Chelsea informs Anita that she plans to stay at Billy and Victoria’s. Anita becomes angry and starts yelling at her daughter, as Billy defends her. Later, Billy asks Chelsea to sign a contract giving up custody of her baby and Chelsea agrees. Jill is shocked that Gloria has hired Jeff as a busboy at Gloworm. Gloria defends her decision, saying that he needed a job. After learning that Anita needs money, Gloria offers her a job as a waitress. Later, Anita sees Jeff and is shocked, clearly recognizing him. At Gloworm, Michael, Lauren, and Gloria decide to get some answers about Kevin’s marriage to Angelina. Lauren is about to begin questioning Kevin when Michael receives a call and learns that Daisy’s hearing is today. At court, Kevin testifies that Jana’s aneurysm and death were caused by Daisy. As Lauren testifies, Avery accuses her of blaming Daisy for the crimes of her mother, Sheila. Lauren is furious as the judge rules that Daisy’s sentence should be reduced to time served. Nick offers Phyllis support as she packs her bags for her trip to visit her father. Later, Phyllis enters her father’s hospice room and he demands to know why she’s there. ­Nikki confronts Victor as he returns home from Paris. She gets him to admit that he did bring Chelsea and Anita to Genoa City. Nikki states that Victor will never change and sadly leaves. 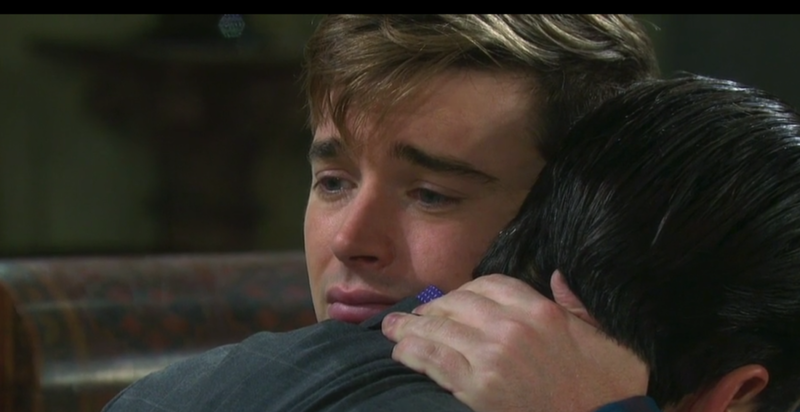 At Gloworm, Billy informs Victoria that Chelsea plans to stay in their home, despite the fact that her mother was kicked out. When Anita informs Billy and Victoria that she is staying in town, they decide to visit Michael and get him to draw up a custody agreement. Victoria and Billy offer Chelsea the custody agreement, which provides enough money to take care of her for the rest of her life. Chelsea agrees to sign, as long as she can stay in the baby’s life. Sharon struggles to drive back to Hope’s home in the storm. Meanwhile, Adam begins to smell smoke and realizes that the barn is on fire. Adam fights to hook up the hose and succeeds despite his blindness. Sharon arrives and is shocked to see that Adam has put out the fire on his own. At the courthouse, Daisy smugly informs Avery that she’s going to visit Lucy. Avery advises her to wait until she files a motion to return custody to her, but Daisy refuses. Later, Avery is surprised to learn that Phyllis has gone to see their father. In the hospice room, George denies that he stole money from his investor, insisting that Phyllis falsely accused him. Phyllis asks him to admit the truth. Finally, George admits that he stole the investment money. Meanwhile, Daniel arrives at Phyllis’ home and is shocked to see Daisy holding Lucy. I love the phyllis and avery stuff and their father. And I love what daniel said a about lucy loving his mother and not her. This week on The Bold and the Beautiful, the paternity of Flo (Katrina Bowden) was revealed. While it seemed like it would turn out to be that Dollar Bill Spencer (Don Diamont) fathered another child, that would not be the case. And, Bill was certainly the most relieved, as was Wyatt (Darin Brooks), because if that were to be true then his ex-flame would have turned out to be his sister! When Bill read the DNA results after asking Wyatt, while in his office, to bring up the information (interesting that they should have such access). 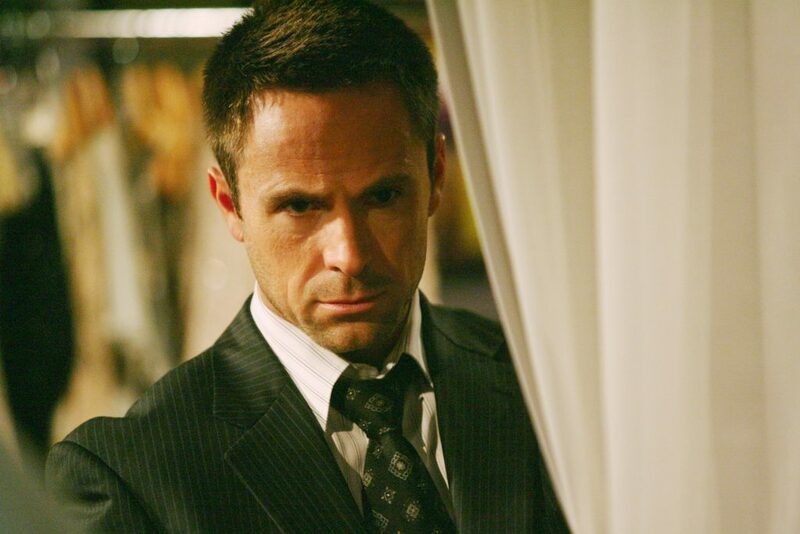 Bill saw the DNA match was the late Storm Logan, complete with photo of GH’s William deVry (Julian) who played Storm on B&B from 2006-2008. 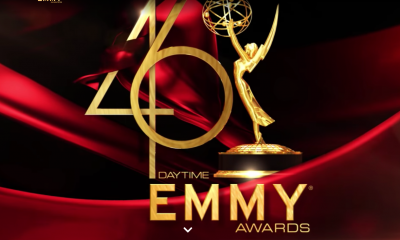 The CBS daytime drama juxtaposed Flo’s paternity with the Logan sisters: Katie (Heather Tom), Brooke (Katherine Kelly Lang) and Donna (Jennifer Gareis) reminiscing about their brother, and the gift Storm gave Katie after he took his own life … for Katie would not be alive if it were not for the heart transplant she received with Storm’s heart. Now it was all about breaking the news to a guilt-ridden Flo, who is constantly in the orbit of grieving mother Hope (Annika Noelle). While at Forrester, Flo wants to tell Hope she is not the good person she thinks she is. It is clear Flo wants to come clean about her part and knowledge of the baby switch; which has sent Hope’s baby Beth into the arms of Steffy (Jacqueline MacInnes) to raise her. Hope is still unaware that her baby is alive, which is all she talks about to Flo and the connection and bond they have. So, as timing would have it, while Hope and Flo are having a heart-to-heart, in bursts Shauna (Denise Richards), Bill, Wyatt, and Quinn (Rena Sofer). They tell Flo they have big news and that Hope will want to hear it, too. Shauna tells her daughter that this wonderful man, Storm Logan. is her biological father. Wouldn’t you know? That makes Hope and Flo cousins. Hope thinks that is what Flo was trying to tell her. Little does she know that her cousin is a conspirator in taking her baby. So, what did you think of the paternity twist? Did you expect Flo to turn about to be the newest Logan on The Bold and the Beautiful, or do you think there is a twist on a twist coming and this will turn out not to be the case? Share your thoughts via the comment section below. 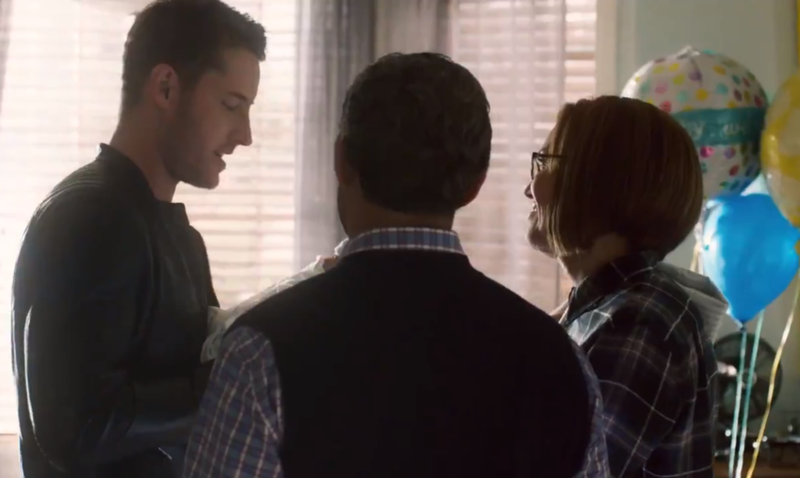 On this week’s This Is Us season finale, plenty of emotional scenes, beautifully crafted and that key flash-forward in the final four minutes that has everyone talking are the order of the day for any fan of the popular NBC drama series. One note: is that a series regular will not be returning for the show’s upcoming season four now that Zoe and Kevin’s (Justin Hartley) break-up is official, meaning actress Melanie Liburd will not be back. The sticking point to their relationship was that Kevin wanted to have children some day, something Zoe says she never wants. And, as we later see in the flash-forward that closes out the season, Kevin indeed has a son! But, who will turn out to be the boy’s mother? We also see an elderly and sick Rebecca (Mandy Moore), who has none other than Nicky (Griffin Dunne)) sitting by her bedside. Wait! Do they end up together? Does Rebecca fall in love with Jack’s (Milo Ventimigilia) brother? Where was Miquel? As with all major episode of this series, those flash-forward’s leave the viewers with more questions than answers, which is exactly how the EP’s of the show want to leave you while you ponder and anticipate the new season in the fall. 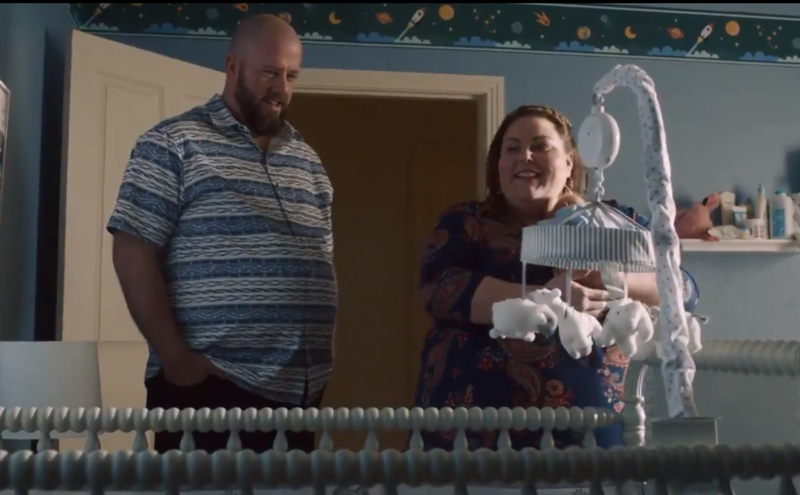 Meanwhile premature baby, Jack is going home with Toby (Chris Sullivan) and Kate (Chrissy Metz), while Rebecca and Kate patch up their communication though Kate’s admitted feelings of inadequacy when trying to live up to her mother. Rebecca will live near by the couple to help Kate with her son. In addition, the answer to “Who is Her?” was revealed as it turned out to be Rebecca in a hospital bed at Kevin’s house, in an altered mental state. Did Rebecca develop Alzheimer’s … or have another brain disorder … or become catatonic ? When Randall walks in the room he says: “It’s Randall. Your son, Randall.” Rebecca just stares. We also see in the flash-forward that Toby may be estranged from his son, Jack and his wife, Kate. When he was speaking to Randall on the phone he had no wedding band on, or wife beside him in the bed. Where is Kate? 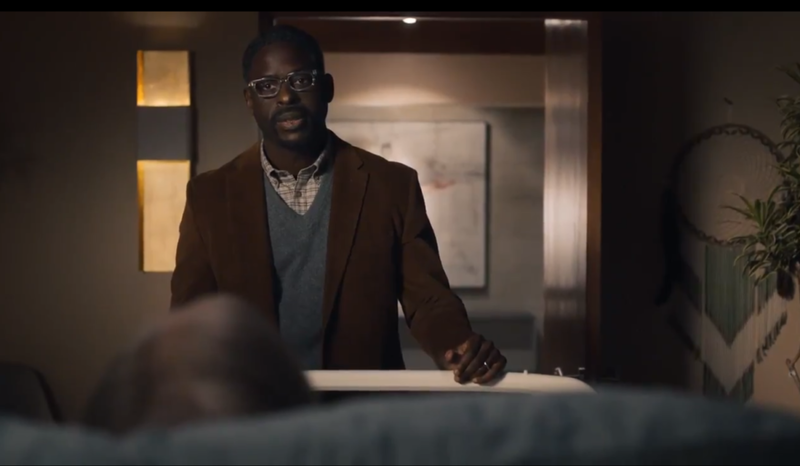 Touching performances, great writing, and leaving us with major cliffhangers, looks like This Is Us, one again, delivered an episode that will have everyone talking for months to come. So, what did you think of the Season 3 Finale? What do you think is wrong with Rebecca? Who will be the mother to Kevin’s son? What was your favorite scene from Tuesday night’s closer? Share your thoughts via the comment section below. But first, in case you missed the ending, check it out here.